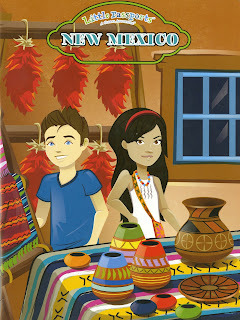 Trevor and I brought the Little Passports State Journal with us during our recent trip to New Mexico. While waiting for tours or other activities to start, we worked our way through the various puzzles. What fun to actually be in Santa Fe as we solved a maze and hidden picture puzzle based on Santa Fe! We read about the famous events in New Mexico, learned about the first chimp in space (trained in New Mexico), and solved a word search about New Mexico's Spanish roots, all while trying local delicacies. The page about Carlsbad Caverns (which we were not able to visit during this trip) included a Diamonte poem about this fascinating National Park. The instructions said to write your own Diamante poem about your favorite thing in New Mexico. 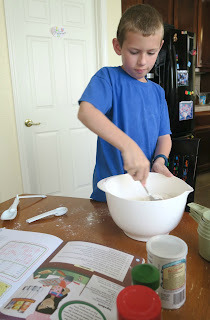 Guess what our little foodie chose as a topic? 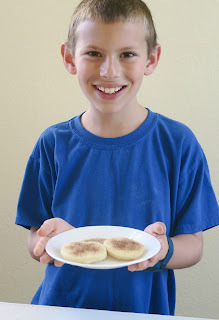 Speaking of food, we couldn't wait to make the recipe for Spicy Biscochito Cookies (New Mexico's State Cookie) when we got home. Delicious! The science experiment in the New Mexico State Journal was ambitious - making your own hot air balloon! 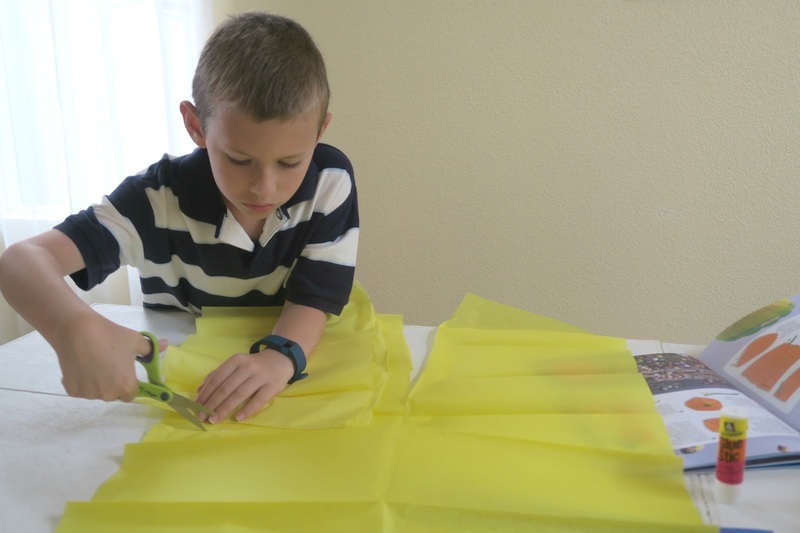 Trevor carefully cut five matching pieces of tissue paper, glued them together, and reinforced the opening with a strip of cardstock. When he put the balloon over a hair dryer, it took off! The final activity from the New Mexico Little Passports Journal is building a model of an adobe house. Their version is made with clay on a shoebox; Trevor and I took that as inspiration and went a different direction with it. We're still waiting for our projects to dry, so I'll share them early next week. 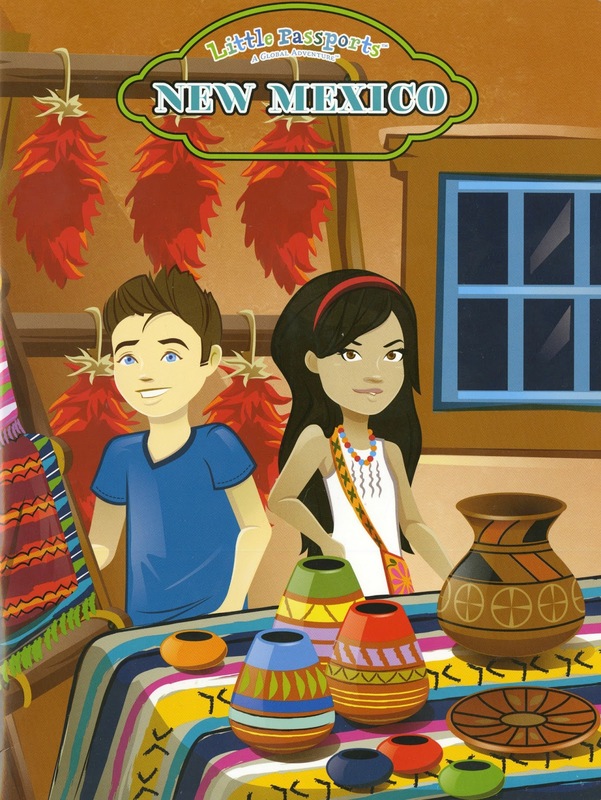 What fun exploring New Mexico with Little Passports! 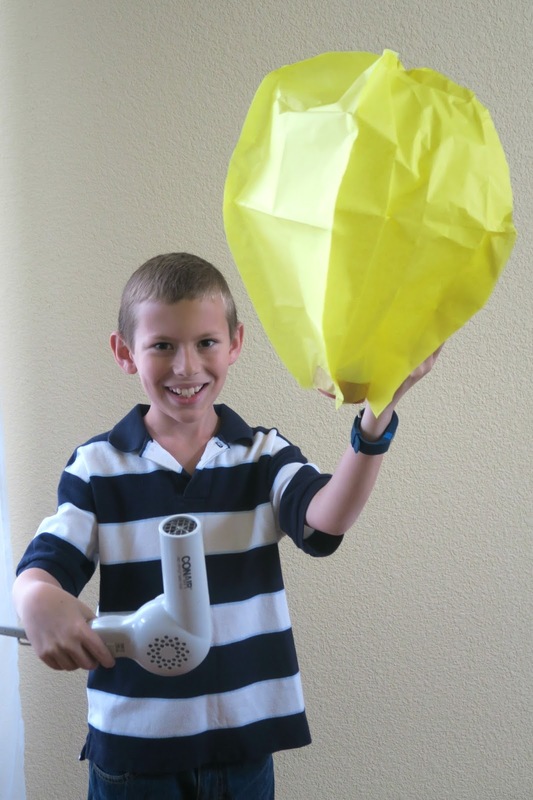 That's awesome about the hot air balloon he made! LOVE it!!!!!!!!!!! !